Ever since the Dakota has been discontinued the FCA Group has been left without a medium-size truck on the US market. It finally seems that things are going to change though but not as some of us expected. Not that long ago Jeep confirmed a rumor that has been floating around the Internet for more than 2 years. 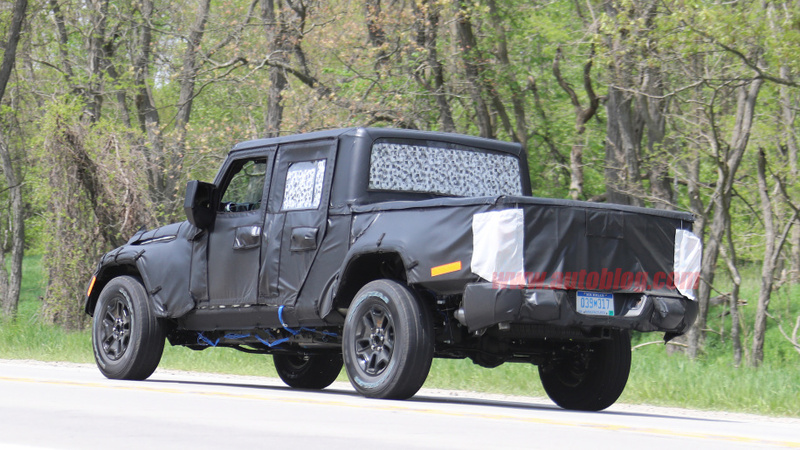 They said the 2019 Jeep Wrangler pickup is definitely going to go into production. Well, not long after that we have seen the first camouflaged prototype that looked pretty much completed. Up to this point the only trucks we have seen were using the front section from a Wrangler with a made-up rear end. It seems the Wrangler pickup is everything that most rumors said it is going to be and more. The new pickup Wrangler is based on the same chassis as the four-door Unlimited model of the SUV. Even though not official, it seems it may share its wheelbase, track width and height with the SUV which is quite interesting. However, the pickup might become available in more wheelbase lengths as well as in a few different cab styles but more on that a bit later. Thanks to it sharing its platform with the Wrangler means it will benefit from the front and rear solid axles. These will give it superior towing capabilities to its rivals and they should allow it to go in off-road where most other trucks wouldn’t be able to. The prototype seemed to have leaf springs in the back with coil springs in the front which suggests a superior payload capacity to that of the regular SUV. So far the price hasn’t been revealed but we wouldn’t be surprised if the 2019 Jeep Wrangler pickup will end up being cheaper than its SUV counterpart. How would this be possible. Well, let’s find out! 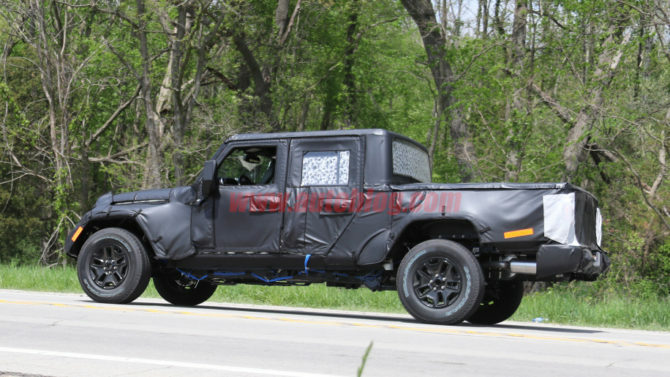 Likely the 2019 truck is going to be slightly different from the SUV despite the fact the two will share the same engines. 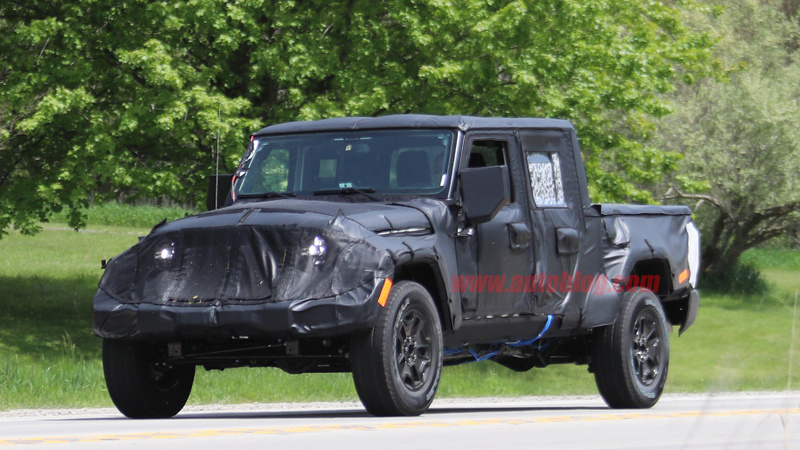 It seems that, unlike the SUV, the upcoming 2019 Jeep Wrangler pickup may be offered in a rear wheel drive guise. This would still boast a limited slip differential so it should still be more capable than the average medium size truck. On top of that, it looks like a 6 speed manual gearbox will be offered as standard across all engines which is likely not going to be an option with the SUV either. 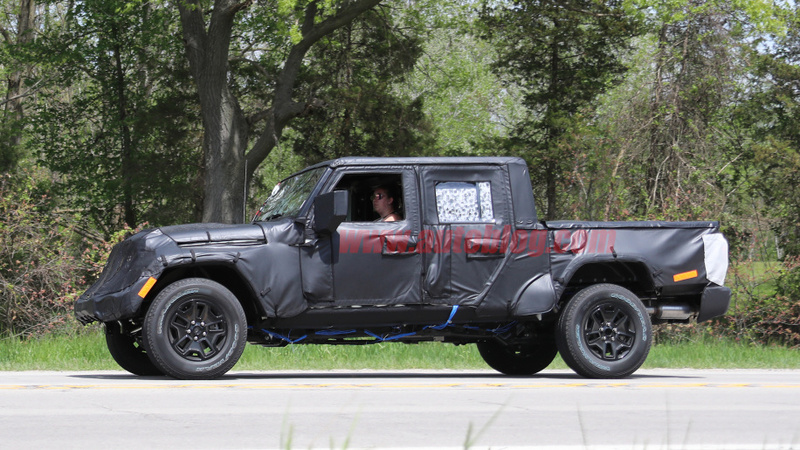 The base model of the pickup Wrangler is expected to get a 3.6 liter naturally aspirated V6. This should be good for around 300 horsepower and little over 270 lb-ft of torque. 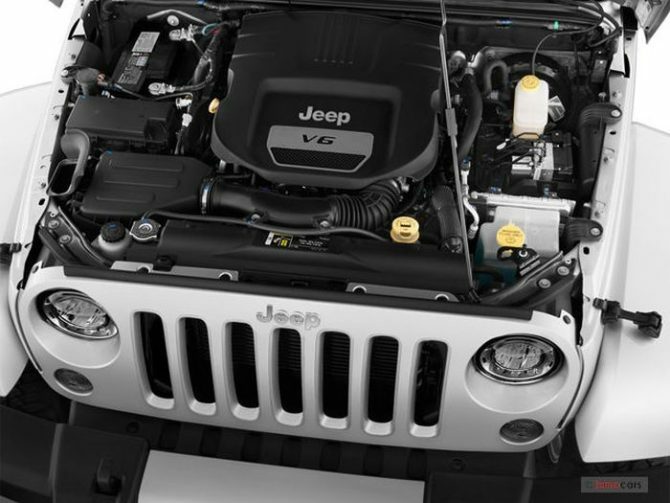 As an option Jeep is going to offer a smaller 2.0 liter turbo-four powertrain. While this may seem like a downgrade, it really isn’t. This is a brand new engine developed specifically for this application. Despite its size the engine is expected to offer over 300 horsepower and 300 lb-ft of torque. It would also provide better fuel efficiency than the V6 which is always great. The range-topping models are finally expected to get a diesel. 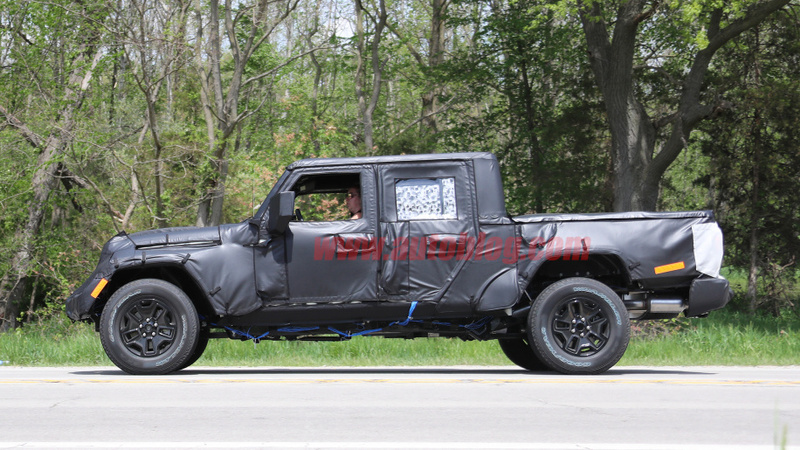 It seems the truck will actually use the same 3.0 liter turbocharged V6 as the RAM 1500. This is in fact a massive improvement over most other trucks in this class. With it the Wrangler should be capable of towing north of 8,000 pounds thus making it the most capable medium size truck on the market. 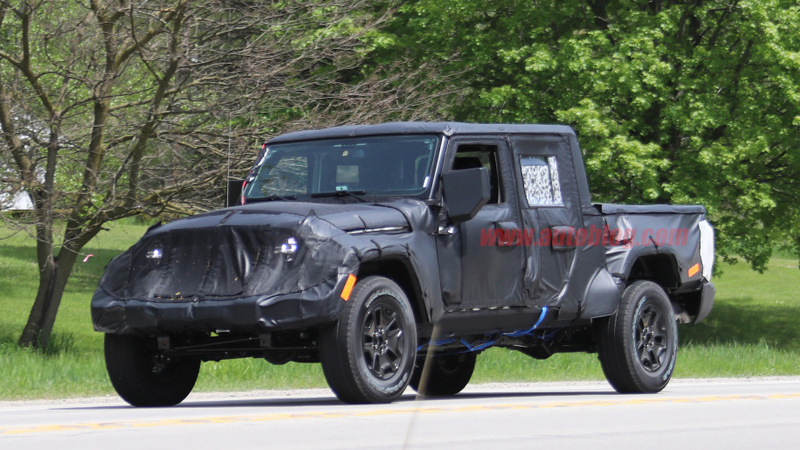 Even though the interior of the 2019 Jeep Wrangler pickup hasn’t been revealed, it is safe to assume it won’t be much different from the regular SUV. However, it seems that there will be at least two different cab options. There will be a crew-cab model with a short rear door as well as a regular full-cab model with four fully fledged doors. 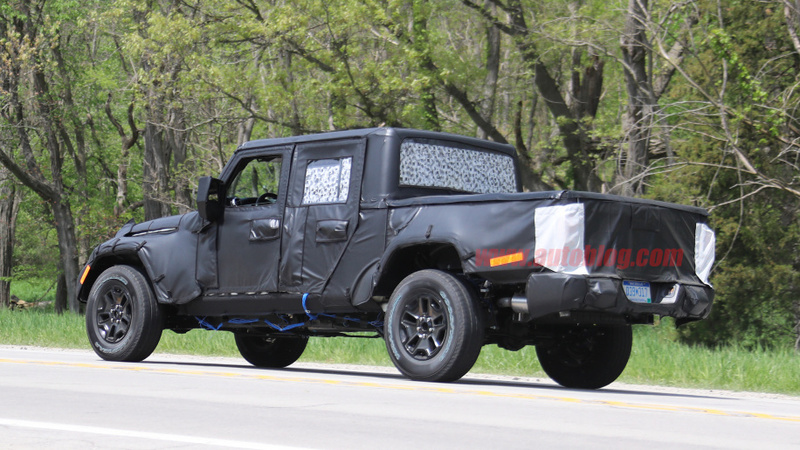 The design, at least in the front, will be identical to that of the new generation Wrangler. In the back it seems the bed follows the same design scheme though. This is as wide as the body but it features flared wheel arches in order to give it a modern-classic look. 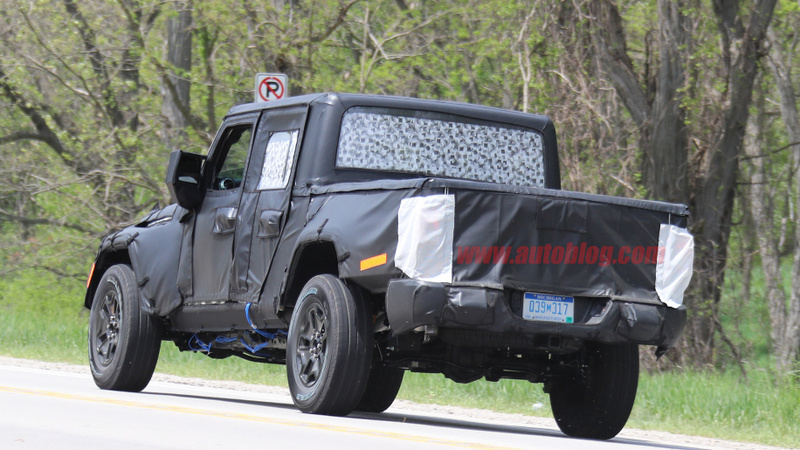 In the back it seems the truck boasts vertical tail lights as well as a tailgate that may boast the “Jeep” logo across its width, similar to what the RAM trucks have been doing for years. 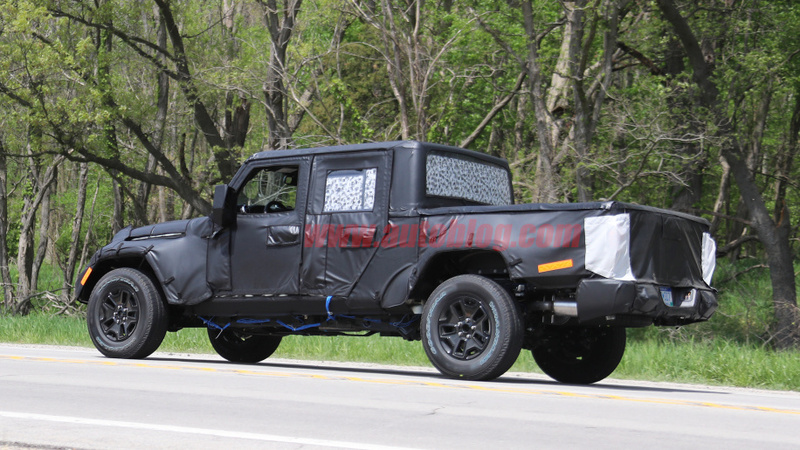 While giving an interview to the Detroit News CEO of Jeep Mike Manley said that the pickup should arrive in late 2017. 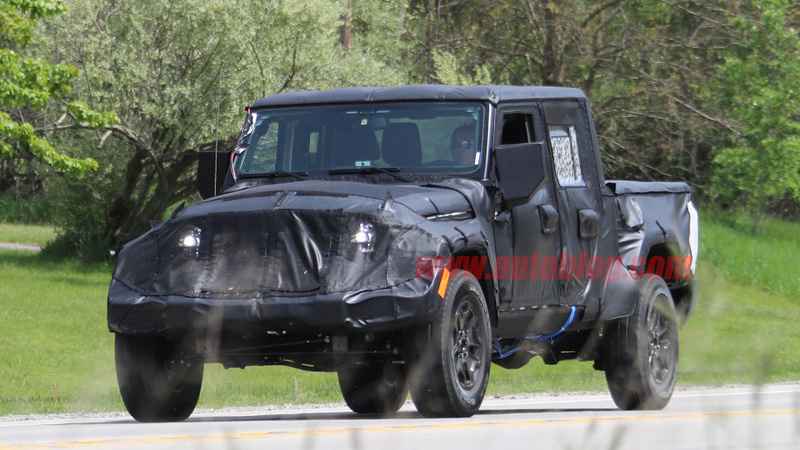 The date would, as then was planned, follow the arrival of the next-gen Jeep Wrangler SUV. The early plans were cast away, and the production of new Wrangler Pickup was postponed for 2019. 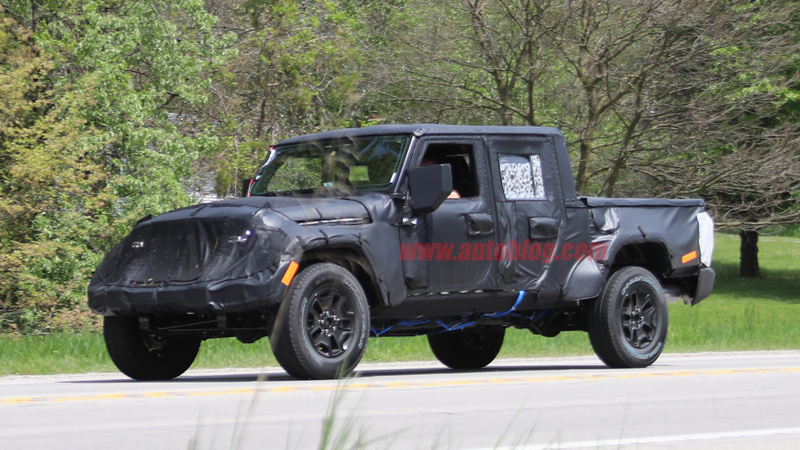 The new Wrangler SUV will come as it was scheduled before the year ends. 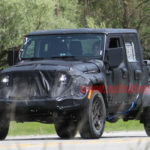 According to Manley, he and other Jeep officials and engineers didn’t want to launch new Wrangler Pickup before they are made sure that everything will turn out just fine. 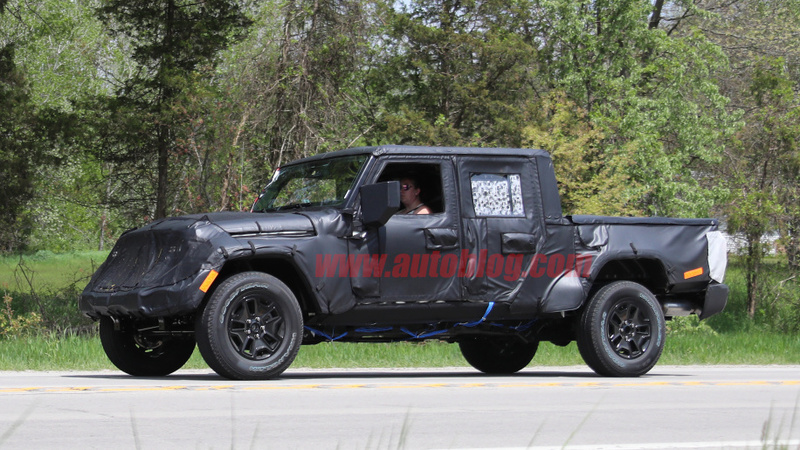 So, after the regular Wrangler is launched you can look for its pickup alteration, but in a few years time. 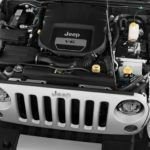 Both vehicles will be manufactured at Jeep’s Toledo, Ohio plant. The Wrangler Pickup will stand out from the crowd by just being a Wrangler. The US citizens love the Jeep and their favorite SUV too. Counting on this, Jeep officials will put up its pickup at $34,500 to make its transition into the market more swifter. This price is a couple of grands above the starting price of Wrangler Unlimited. Its main rivals, Colorado ($35,000), and Tacoma ($32,000) are both priced in the same region.